James Shapiro, Professor of English at Columbia University, is one of the world’s leading scholars on Shakespeare with numerous books and prizes to his credit. 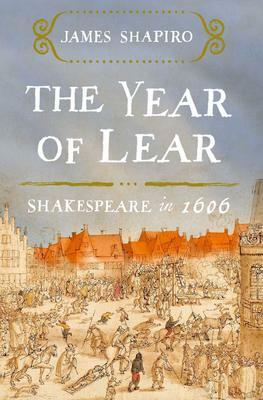 In The Year of Lear, he takes a look at a particular year (1606) when Shakespeare produced three plays at a time of great turmoil in England. For one thing, a great plague attacked the country, with countless people losing their lives. King James of Scotland had taken over the throne of England, after the death of Queen Elizabeth. The result was great conflict between the Protestants and Catholics. On the Fifth of November a group of disaffected Catholic gentry plotted to blow up Parliament, kill the king and roll back the Protestant Reformation. They did not succeed, but the reverberations went on endlessly. Shakespeare was a well-known playwright by this time and had written and acted in many of his most famous works. These were done under the reign of Queen Elizabeth, however. In 1606, he turned to the Scottish regime. In both King Lear and Macbeth, the influence of Scotland can be felt. This book tells the intriguing story of how politics affected Shakespeare – though it never stopped his audience from packing his shows. Local author and historian Tim Cook will be the guest author at our next Titles@Table40 event! 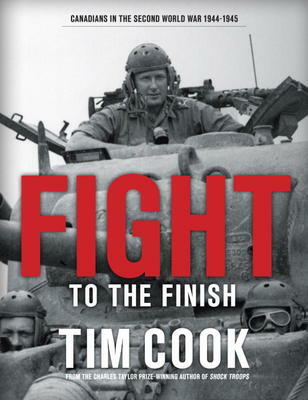 He will be speaking about his brand new book, Fight to the Finish, the second volume of a two volume series about Canadians in WWII. The evening will start at 5:30pm with dinner, followed by the author presentation and book signing. Attendees must reserve their spot at the bookstore with a non-refundable deposit of $20.00 which will go towards the cost of the meal (set menu with vegetarian option). The total cost of the meal is $40.00, not including refreshments, tax, and 18% gratuity. Tickets for this event are going fast! Visit us or give us a call (613-742-5030) to reserve your seat today! 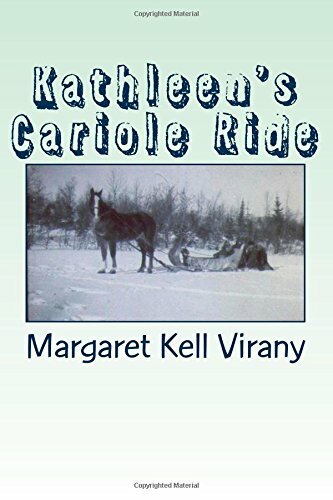 Margaret Virany will be in the store on Saturday, October 31 from 1:00pm to 3:00pm to sign copies of her memoir Kathleen’s Cariole Ride. 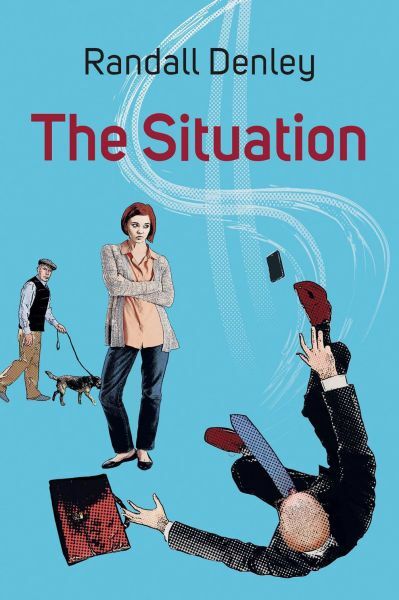 Local author and newspaper columnist, Randall Denley will be in the store on Saturday, October 31 to sign copies of his new book The Situation from 11:00am to 1:00pm. 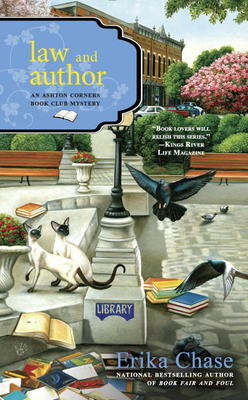 Local mystery author Erika Chase will be in the store on Saturday, October 24 from 11:00am to 1:00pm to sign copies of her new Ashton Corners Book Club mystery, Law and Author. 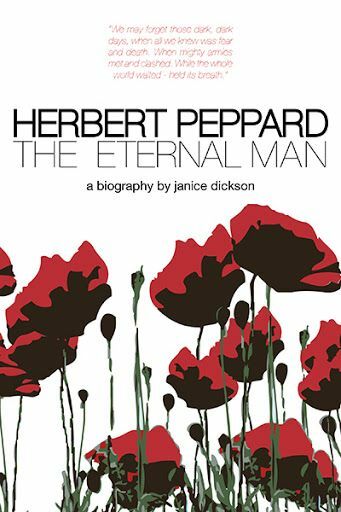 Janice Dickson will be in the store on Saturday, October 24 from 1:00-3:00pm to sign copies of her new book Herbert Peppard:The Eternal Man. “Herbert Peppard: The Eternal Man tells the true story of a 95-year-old WWII veteran who was a member of the First Special Service Force, which is also known as the Devil’s Brigade. Peppard grew up during the Great Depression in Truro, Nova Scotia. Unable to afford books for school, he dropped out at age 16 to work at the lumberyard. But with Hitler and the Nazis terrorizing Europe, he felt the call to join the army to help in the war effort. While Peppard fought for his country and became a decorated soldier, he had a rebellious side. Peppard went AWOL – a serious offence in the army – five times while on duty. But during a prohibited vacation home, he met a beautiful woman named Greta MacPhee. Critical moments of battle are interwoven with letters, written by Peppard to his family and to Greta, the woman he vowed to return to and marry. Many letters were written from his hospital bed in Naples, where he spent six months recovering after being shot. The story follows Peppard after the war when he returned home to Nova Scotia to start a family. But soon after his return, Greta, his beautiful new bride, is diagnosed with a debilitating disease. Paula McLain made her name as a writer of historical fiction with her earlier book, The Paris Wife, which became a huge best-seller. In this new one, she continues her sharp, sympathetic writing, this time in the early days of British colonial Kenya. She concentrates on the daughter of a couple who left England in 1904 to set up a farming estate in the British African Protectorate. The father was an experienced horseman and planned to train horses for racing. The mother very soon found the life too grim and returned to England with her son, abandoning her young daughter, Beryl. This girl grew up with her father and a native tribe who lived on the estate. She was independent and fearless, to a degree, and very soon discovered she too had the ability to ride and train horses, which she did to the amazement of the British colony. She broke all the rules socially, with a disastrous marriage and a love affair in a triangle involving the famous writer, Isak Dinesen who wrote the classic memoir Out of Africa. McLain’s book is filled with descriptions of the beauty of Kenya as a backdrop to the decadent set of expats who had come to enjoy it but broke all social rules while doing so. 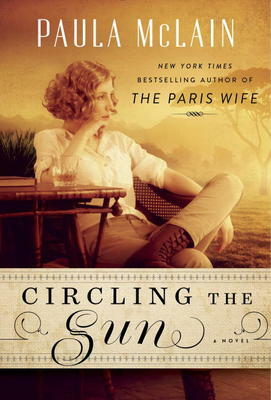 Circling the Sun brings the 1920’s to life and reads at a suitably fast pace. We will be CLOSED on Monday, October 12 for the holiday weekend. Regular store hours will resume on Tuesday, October 13. Wishing you all a lovely long weekend and a very happy Thanksgiving! On Saturday, October 3, we will have two great authors in our store to sign their new books. 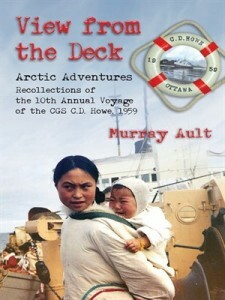 Kicking us off at 11:00am, local author Murray Ault will be here signing copies of his new book View from the Deck. 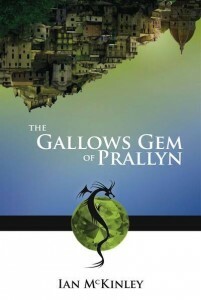 Then, at 1:00pm, Ian McKinley will be in the store to sign copies of his new fantasy novel The Gallows Gem of Prallyn.